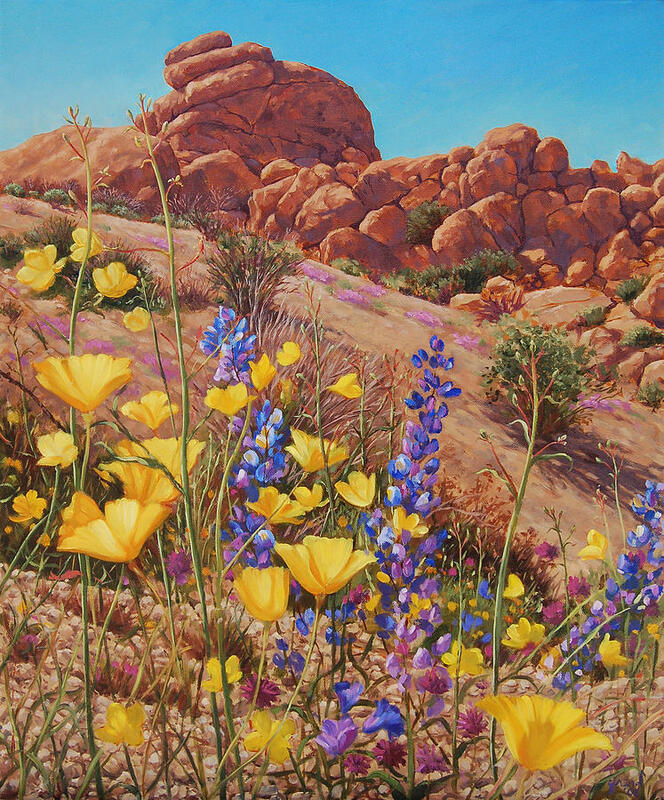 Blooming Desert is a painting by Johanna Girard which was uploaded on June 3rd, 2008. Volcanic rock formations that have endured for millions of years form a rugged backdrop for the delicate blossoms of yellow California Poppies and brilliant blue lupines here at Joshua Tree National Park. 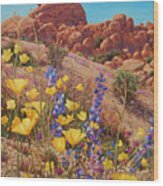 These desert wildflowers do not bloom every year, as they are quite tempermental and require just the perfect conditions to bloom. 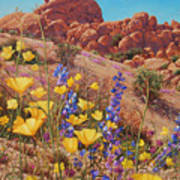 In drought years, which can be frequent in the Southwest, there are few or no flowers at all. But heavy winter rains brought forth a kalaidoscopic carpet of wildflowers in the spring this year, a short lived display that fades after just a few short weeks. 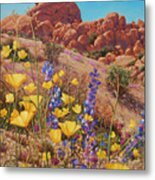 This original oil painting is sold, but you can purchase this image as a print here at Fine Art America. you make the desert look so beautiful! Gorgeous! The details are stunning. I think I can feel the heat coming off those rocks. You are such a great artist . Your works are exquisite. Love them. 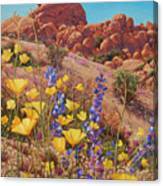 Beautiful piece with tremedous depth from the flowers in the foregroung to the rocky out crop. This would make a nice addition The Wilderness Painters Group!